Spencer is at it again. He has advanced from veggies to cheese. In a previous post I mentioned how he had taken to squishing as much food as possible into the vehicles he sneaks into his chair at dinner. 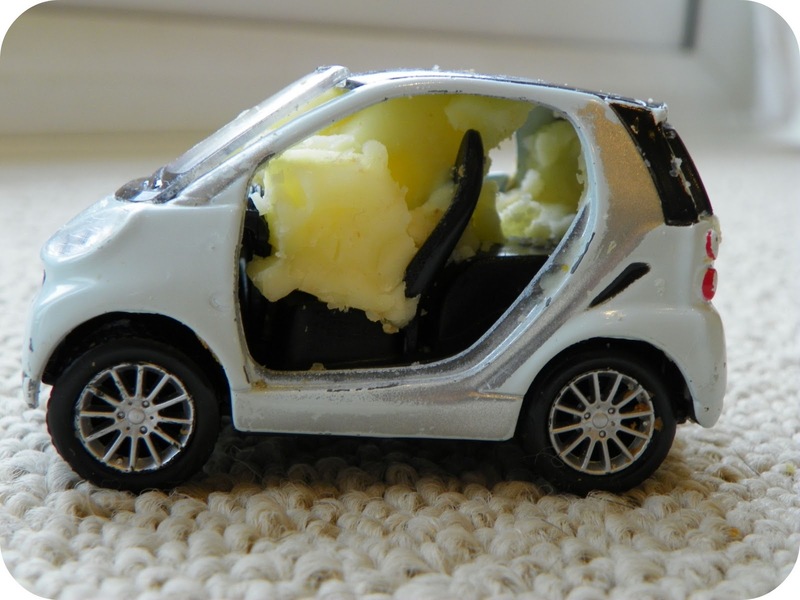 This time, the smart car was the latest victim of his "cheesing."